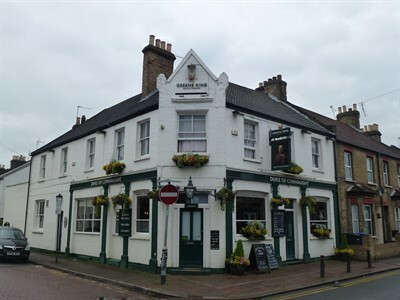 Just sold by Leading National Licensed Property Agent Guy Simmonds is The Duke of Connaught, Windsor, Berkshire an attractive and well-presented inn and pub, located within the highly desirable town of Windsor and benefitting from letting bedrooms. The historic town of Windsor is an extremely popular tourist destination within the Royal County of Berkshire and offers attractions such as Windsor Castle, The Great Park and Legoland. This traditional and thriving leasehold Inn had takings in the region of £503,000 (inc vat) split 60% wet and 40% food. The business includes a lounge bar (circa 30), dining area (circa 40), patio terrace gardens (circa 60) and 3-bed owners’ accommodation. The business was sold off an asking price of £97,500 to Mr Daniel Keogh. Looking to sell or buy in Berkshire? Looking to buy a Pub, Inn, Restaurant? Sell a Pub, Inn, Restaurant?